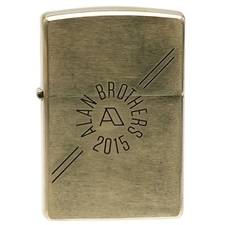 Like the modernist classics which characterize Jeff Gracik's design aesthetic, Alan Brothers' Zippo pipe lighters are a fresh take on the historic American design originally conceived by George Blaisdell. 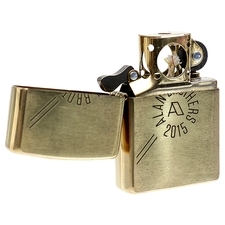 With an insert which encases the flame in metal, allowing it to be drawn directly into the pipe without charring the rim, the Zippo pipe lighter is specifically designed to meet the unique needs of pipesmokers. It's available in both navy blue and the antiqued brass option seen here.